Life skills enrich us as individuals, families, and communities. I grew up on a farm. My Dad was a self-employed mechanic and tow truck operator. My Mom helped him with the garage, farm. She also had a small business of her own, a food truck that she operated part time. We were not wealthy, but we had opportunities that not everyone had. My parents taught us life skills. My grandfather had taught my father mechanic skills, the career they shared. He also shared with him his love of woodworking, general household repairs, and so much more. My mother’s mother shared her love of cooking and baking, household skills, and so much more. At a young age, my parents’ capabilities ensured they could manage most of life’s challenges. Neither of my parents created a formal education plan for us. We attended public school, but much of our actual learning took place at home. The farm, garage, and home provided a full spectrum of learning experiences. School, 4-H, and other programs added to our teachings. By the time we graduated high school, each of us had a strong foundation of life skills. We homeschool our children, so life skills actually become part of the education plan. Living each day together, many of those skills just happened. Children learn to manage laundry by helping from early childhood. They learn lawn care working alongside parents. 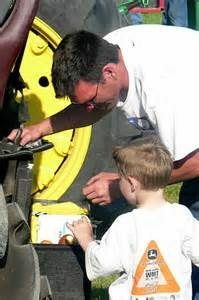 Helping with car care gives kids the chance to understand basic maintenance. Painting, fence repairs, and garden skills are shared by all. Two commercials currently being featured on TV create contrasting images. One speaks of the need for tech and skills training. Our president recently signed a bill intended to focus on these much needed vocational programs. Mike Rowe actively promotes skills training to help fill the many job openings for electricians, welders, and other tech employment. The second displays a dramatically different perspective. Promoting a service to find a handyman, it features a father. The man claims he is pretty handy around the house, but now that he has kids, he doesn’t want to spend time making repairs around the house. This might sound admirable; Dad wants to spend time with the kids. However, I feel a touch of sadness for the kids. They won’t learn those basic household skills. As adults, they may need to call a handyman for even simple repairs. Moreover, the ad says to me that handymen skills are not as valuable. Should all children learn to be welders or mechanics? Definitely not. 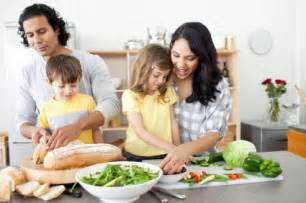 Each person needs to find his or her career path, However, teaching our youth basic home skills will serve them throughout life, whether they become a stay-at-home Mom, welder, doctor, or business owner. Discounting the value of these skills creates a skewed vision of real life. When planning your child’s future, consider adding life skills training. In its simplest form, it might be helping cook dinners and do the laundry, as well as changing the oil in the car and learning to change a tire. 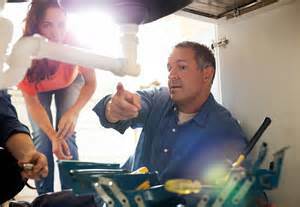 Expanding from there, consider changing water faucets, unclogging pipes, painting the house, and gardening. Whether your child becomes a plumber or a scientist, these life skills stay with them throughout their lives. Moreover, they might even choose one of them as a career!